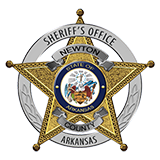 Newton County Sheriff Keith Slape said that a search warrant was executed at the Joseph Narisi/Anne Rickabaugh residence in Parthenon on 7/25/13. The search warrant was acquired after officers in a helicopter spotted suspected marijuana while flying near the residence. Officers approached the residence and observed marijuana in plain site. During the search officers found firearms, processed marijuana and drug paraphernalia. Sheriff Slape states affidavits have been filed with the prosecutors office for arrest warrants.